The judge in your contested divorce case wants to hear from both sides before reaching a decision and will let you go first if you are the plaintiff, the one who filed the initial divorce paperwork. The plaintiff has the first opportunity to call witnesses and present the court with evidence, such as relevant documents or photographs. When you call a witness, you or your attorney ask questions of the witness first, then your spouse or his attorney ask questions of the same witness in a process called cross-examination. You will have another chance to ask questions on re-direct. Once you have presented all of your witnesses and evidence, your spouse presents his witnesses and evidence; you have the same right to question his witnesses as he had to question yours. When his presentation is complete, you may call additional witnesses in rebuttal to refute what his witnesses said. After the court receives all witness testimony, each side gives a closing argument. The number and type of witnesses called vary depending on the facts of each case and the disputes involved, but witnesses may include persons other than yourself and your spouse. For example, you may need to call an expert witness, like an appraiser if your dispute involves valuable property and you and your spouse could not agree on its value. If child custody is in dispute, the court may appoint a person, often a guardian ad litem, to investigate the custody issues and represent the children during the divorce hearing. Generally, witnesses are called to testify because they have specific information the court needs to consider when making its decision. For example, an accountant can provide accurate details about your family's finances but probably can’t speak to your child’s relationship with his grandparents. Often, one or both spouses must testify at trial because only the spouses know details about the family's situation. The judge may ask you and your spouse if there is anything that can be done to help you reconcile and continue your marriage. If you are the plaintiff, you will probably have to give testimony confirming the details you stated in the divorce papers, including the reason for your divorce, where you were married and the names and ages of your children. If you have an attorney, you may be able to practice this questioning process before the day of your trial to become comfortable with it. Your divorce may not be finalized on the day of trial. 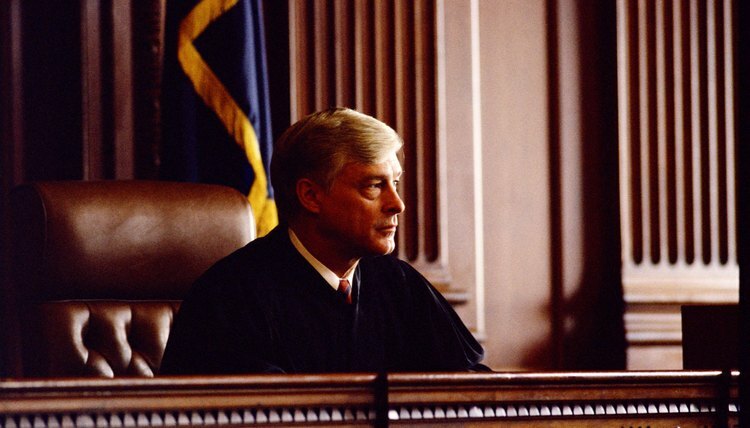 You may learn the judge’s decision at the end of the trial, but often the judge will take the matter under advisement, meaning he will take time to review the evidence and each side’s arguments before making a decision. Even if the judge makes his decision at your trial, the divorce is not final until he signs your divorce decree and it is filed in the court clerk’s office, which may be several days or weeks later. Gregory S. Forman, P.C. : How Does the Family Court Litigation Process Work? Atkins Law Firm, P.A. : When Will My South Carolina Divorce be Final?